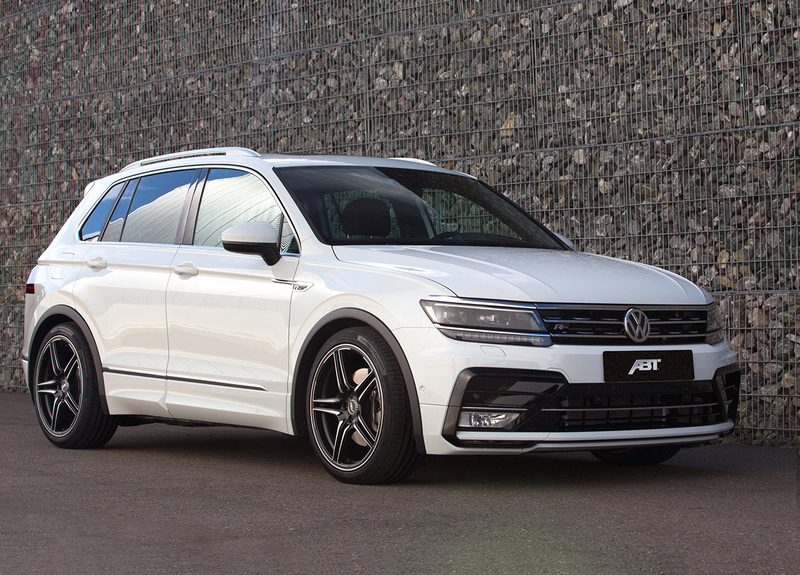 On April 28th the new ABT Tiguan won second place in the German AUTO BILD ALLRAD readers’ poll to nominate the most successful tuned all-wheel drive vehicle. That’s not so bad because the lightning-fast car from the Bavarian region of Germany is often first away from the traffic lights. 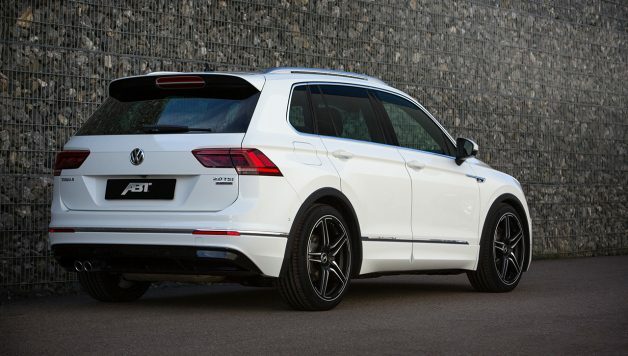 This is because ABT have tweaked its 2.0 TSI engine to a staggering 290 hp (213 kW) with a maximum torque of 420 Nm. 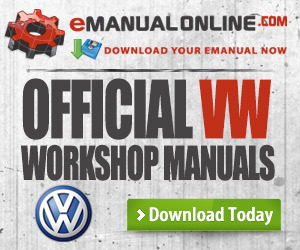 The original power output is 220 hp (162 kW) and 350 Nm. 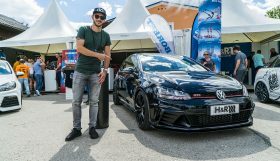 Involving that much power, it will certainly significantly undercut the performance of the series production model, which achieves 6.5 seconds for 0 to 100 km/h. After all, the ABT Power New Generation performance tuning with its separate control unit delivers over 30 percent more horsepower. 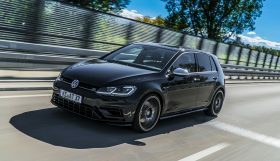 The top speed also easily beats the previously achievable 220 km/h. The optional ABT suspension spring set drops the body of the SUV a hand’s breadth closer to the tarmac. 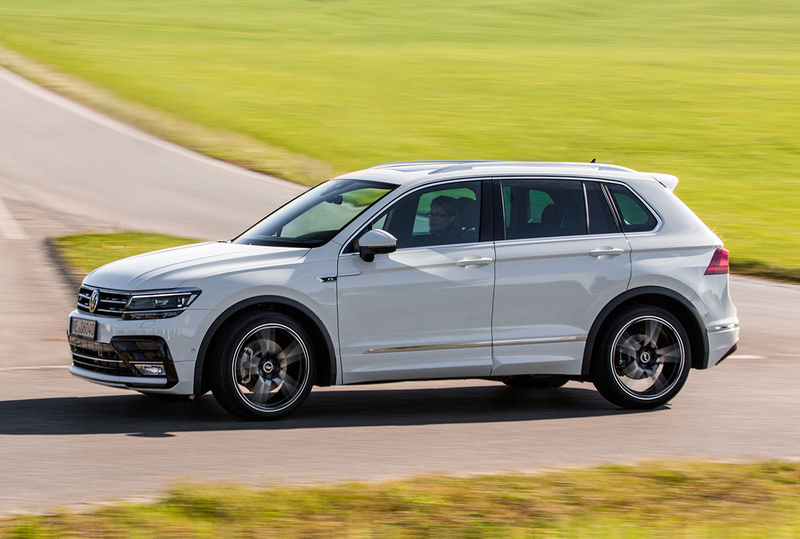 Lowering the VW by over an inch not only makes the car more curvaceous, it also improves the aerodynamics boosting the top speed and enhancing the sporty look of the Tiguan II. 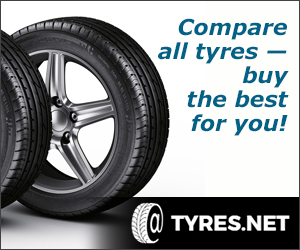 The second generation is by nature significantly more dynamic and more confident than its predecessor, which is why ABT Sportsline only changed the wheels. 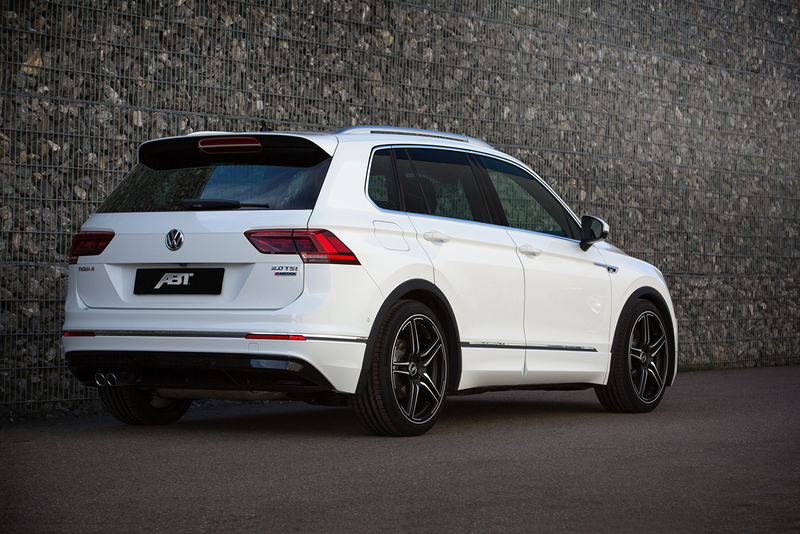 ABT SPORT CR, DR or ER-C rims are available in sizes ranging from 18 to 21 inches depending on the model. The alloy wheels differ not only in size and geometry, but also introduce completely different finishes ranging from black-red (CR) through mystic black (DR) to gunmetal (DR and ER-C). 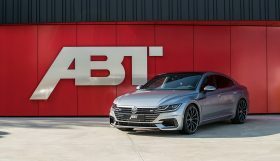 And because true beauty also comes from within, ABT offer optional matching floor mats and chic integrated entrance lights that project the ABT logo directly onto the tarmac when the door is open. 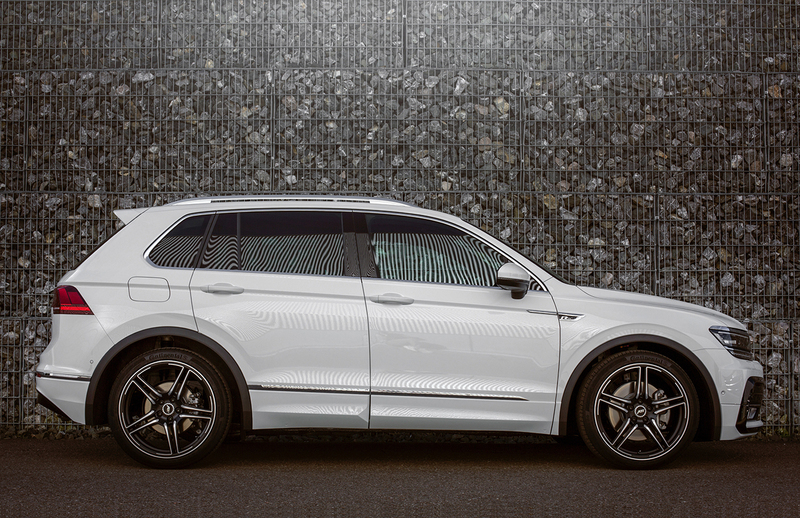 After all, an SUV this cool can be expected to make its mark on the street.